Alpha Echo is a gem, beautifully preserved and very well looked after by a small but enthusiastic team, you could imagine the flight engineer selecting REFLIGHT/START Switch for Engine Number 3 to START and the Olympus 593 spooling up. Concorde 212 G-BOAE was completed in Filton in early 1977 and entered service with British Airways that summer. Over the next 26 years Alpha Echo operated just over 7000 supersonic flights before finally landing at Grantley Adams International Airport in Bridgetown on 17 November 2003. This final flight, taking just under 4 hours from London, reached the maximum certified height of 60,000 ft.
Barbados is the forgotten regular destination of Concorde, from the mid 1980’s until the retirement of Concorde in 2003 it was possible to make a Saturday day trip the Caribbean from Heathrow. With time differences playing in your favour an arrival at 9am in Barbados would mean you arrived before you took off! A few hours later after a quick lunch and paddle you could return on the same aircraft arriving back in London just before 9pm.. Of course most of the holiday makers onboard paying around £6500 for the ticket stayed rather longer than a few hours, but the route did much to cement Barbados as a luxury holiday destination. 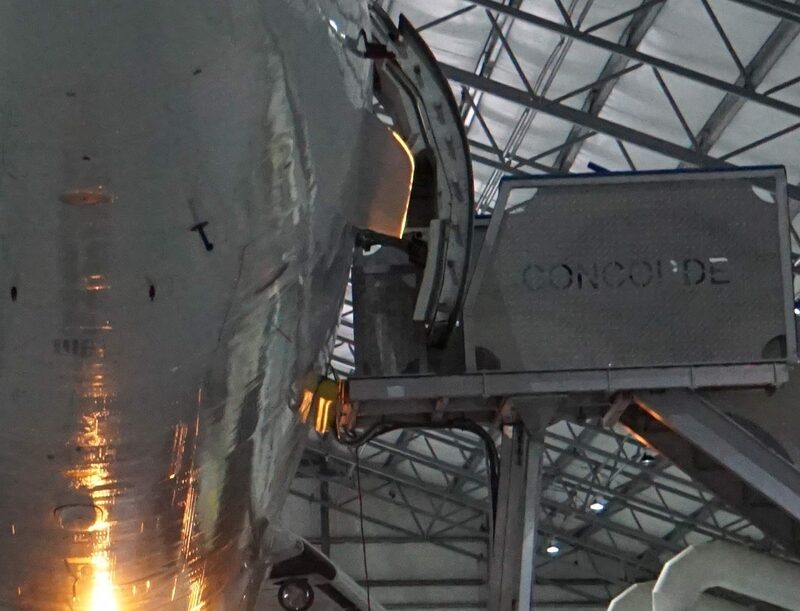 The home of Alpha Echo is the “Concorde Experience Barbados” which is a purpose built hanger, with some displays of Concorde artefacts very similar to the Scottish home of Alpha Alpha at East Fortune. 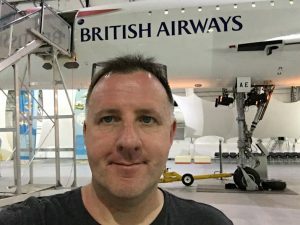 A really well made and informative video is projected onto the fuselage which explains many of the technical advances that Concorde represented in simple terms. At £6500 per ticket hard to imagine how you would get your money’s worth and not too surprising it’s not still in operation. Still I bet it looked pretty spectacular at 60,000 feet. True.. the economics of the operation relied on a very wealthy clientele.. who today make use of netjets and alike !